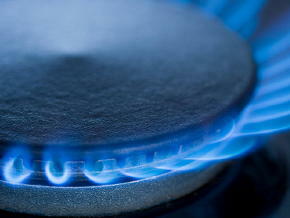 Converting your appliances to natural gas is one of the most popular ways you can add value and comfort to your home. We are a major NW gas lines installer in the Portland area and also do gas line repair. Natural gas generally costs 40 percent less than the equivalent amount of electricity or oil. Even with fluctuating energy prices, natural gas is the least expensive energy source available. We offer professional gas line installation and are fully licensed, insured and bonded gas piping experts. We Run New Gas Lines For All Gas Appliances! A natural gas range is the most popular way to cook for chefs the world over. 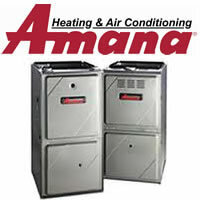 Natural gas heats quickly and allows instant temperature control. Most barbecues are capable of running on either natural gas or propane. There are few things as frustrating as running out of propane half way through barbecuing with your friends and family. Imagine never having to fill a propane tank again. Add natural gas barbecue today. A natural gas dryer dries clothes much more quickly than an electric dryer. A gas dryer can significantly cut down on the amount of time it takes to do the laundry. Natural gas also offers the convenience of being available for appliances such as the fireplace, water heater and range even during a power outage. Many families have been able to last through a lengthy power outage with heat provided from their natural gas fireplace, hot water from their natural gas water heater and food prepared on their natural gas stove. Unlike electricity, natural gas is delivered safely through an underground distribution system and is unaffected by severe storms. Portland Heating and Air Conditioning uses only the safest gas piping materials in your home. Although the standard in the industry for years has been threaded iron pipe, there is now a convenient alternative. A revolutionary product made of flexible stainless steel tubing has made it much easier to install and add to a gas piping system. This product has removed the labor intensive cutting and threading required for iron pipe. Portland Heating and Air Conditioning proudly uses TracPipe brand corrugated stainless steel tubing (CSST). If you already have natural gas in your home and would like to add additional natural gas appliances, give Portland Heating and Air Conditioning a call. You will love the comfort and the convenience.